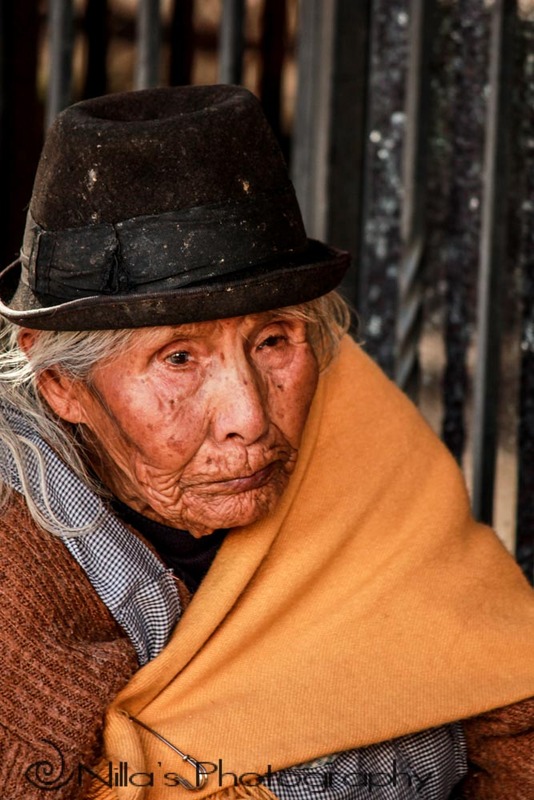 This truly is an ancient city of Bolivia. Hoping for the best with the arrival of an actual bus in Potosí, we are pleasantly surprised that the bus is almost on time. Don’t forget your earplugs whenever you travel by bus in Bolivia, as the music blares out at alarming decibels. 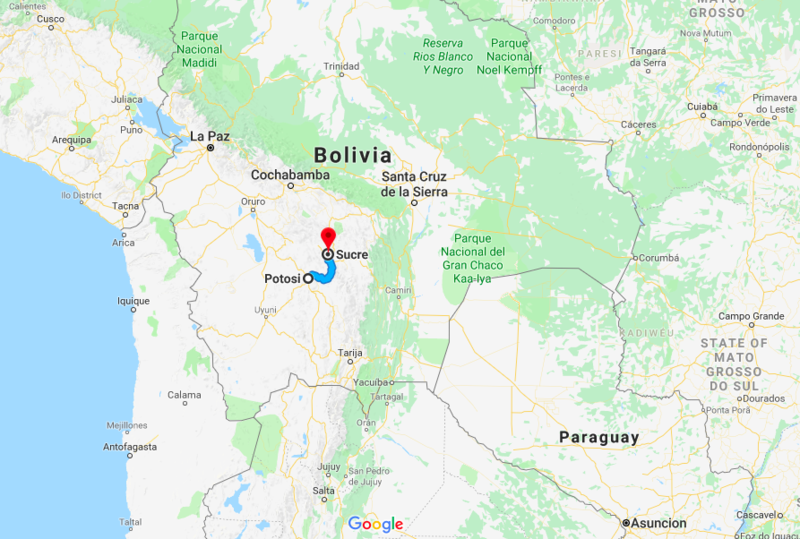 The few hours in the public bus is without incident as we descend from Potosí’s 4,000-plus metres, and down in to Sucre’s much lower level. I must apologise in advance for the lack of architectural photos in this post. The only reason I can think of for this lapse, is that I found the faces and markets much more interesting. Surrounded by mountains and in a valley of just over 2,800 metres above sea level, this beautiful city exudes charm and peacefulness. Declared a UNESCO World Heritage Site in 1991, colonial splendid Spanish architecture in brilliant white, is well-preserved and graces most of Sucre. Perhaps a positive influence of Spanish Colonialism? Strict development controls ensure the city’s appearance remains safe. 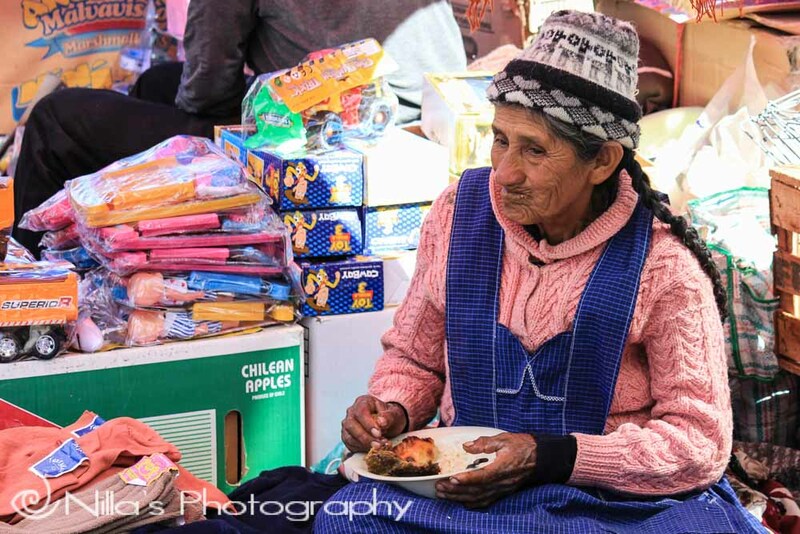 Sucre is symbolic for Bolivians as independence was proclaimed in this city and recognised in the constitution as Bolivia’s capital. 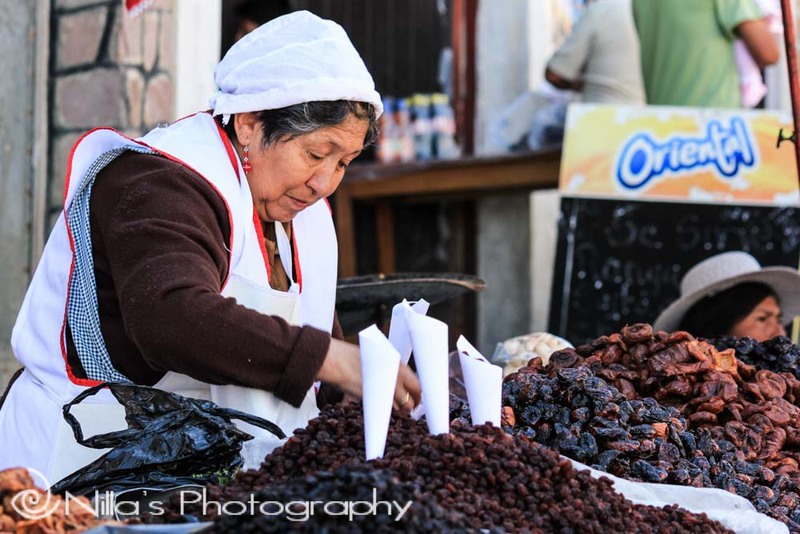 Enduring many names in the past including La Plata, Charcas, Chuquisaca, Sucre, White City, and also the City with 4 Names – a new name is also bandied around: City of Chocolate. Many also come to Sucre to learn Spanish as not only are courses cheap here but teachers are very good. I chose not to take Spanish classes, although learning some Spanish will come in handy whilst travelling in South America. 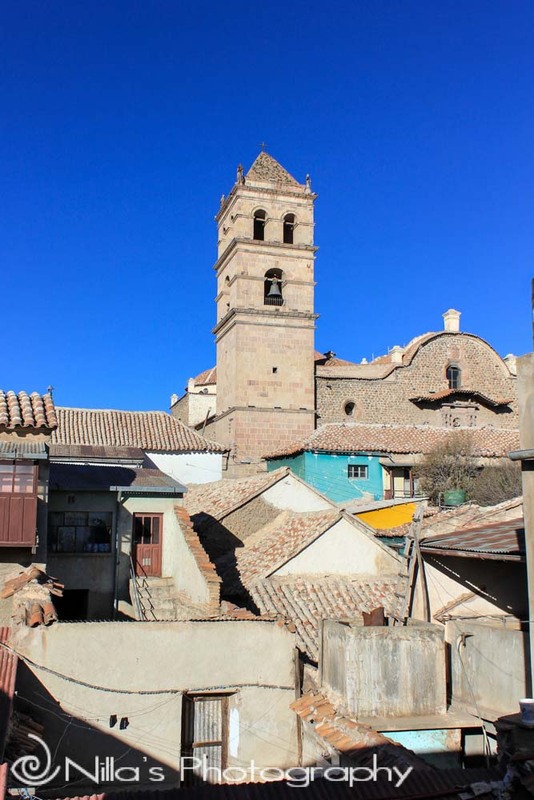 Wandering the streets of Sucre to take in the well-preserved colonial beauty of pristine buildings and organised 19th-century streets, is very pleasant. If you feel like exploring the Dinopark, this park has around 5,000 original dinosaur tracks and fossils, embedded in the side of a hill. A tour of the park and a museum also awaits, but I hear it’s not that great. 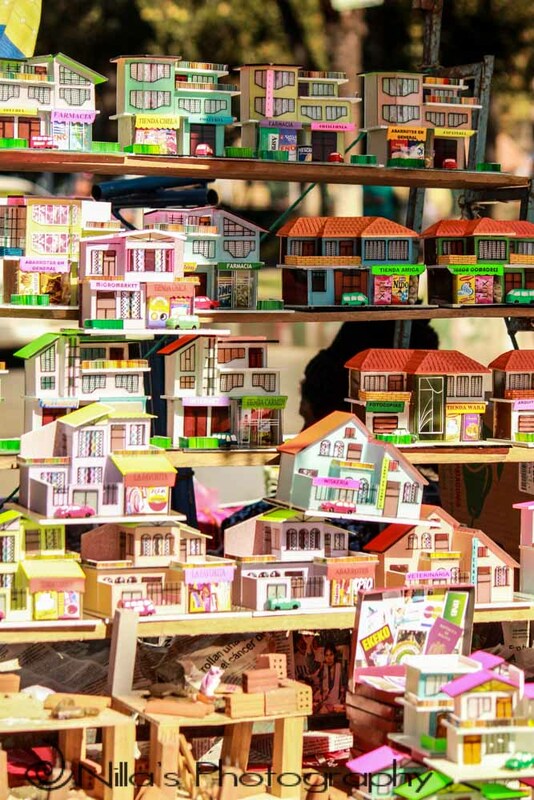 Sucre is host to many festivals, so keep an eye out for one of these when you’re travelling. You will be treated with an abundance of brightly-coloured parades, bands, dancing, and a great spectacle. This main square in the city’s centre is bustling with activity. Loads of street food, many stalls, shoe shines, fresh orange juice vendors, and beggars – great to sit and watch, whilst taking everything in. 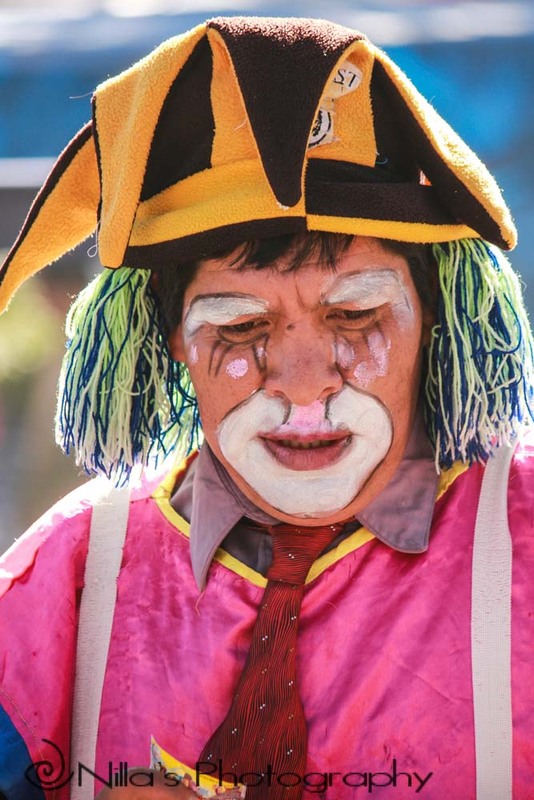 You may also see some theatrical performers or buskers. Surrounding the plaza are numerous restaurants, cafes, gorgeous buildings dating back as far as the 1600s, and souvenir shops. The famous liberator Antonio José de Sucre and first president of Bolivia is commemorated, with a statue at the centre of the park. Regular tourist shuttles and public buses also leave from the plaza. 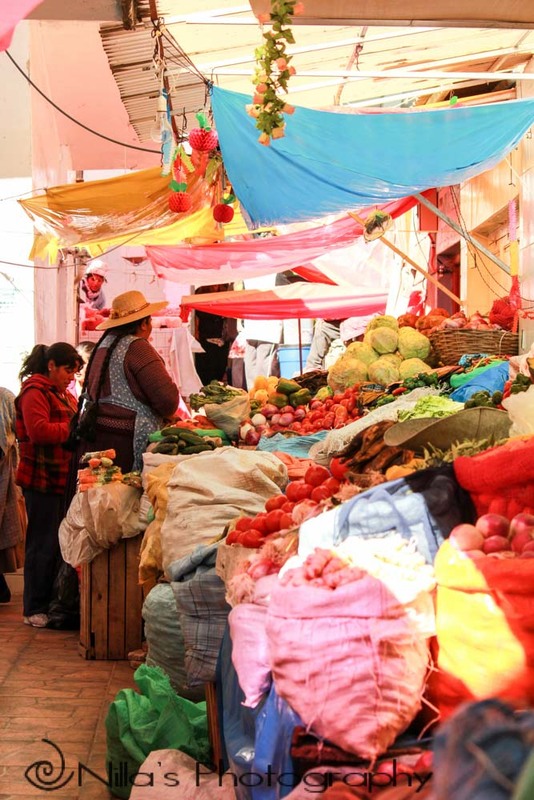 Sucre has no shortage of vibrant and colourful markets, which not only provide great food and clothing at low prices, but are excellent for absorbing Bolivia’s diverse culture. Indulge in delicious street food and set lunches for just a small cost, which makes you wonder how vendors exist. 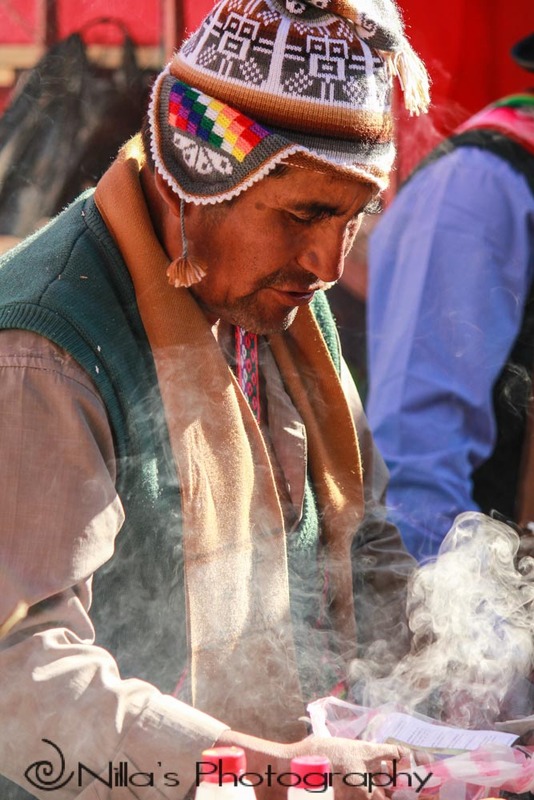 Watch Shamans perform their craft on a local that is enduring an ailment or personal problem. Chunks of silver still ingrained in rock are traded freely at markets. Perhaps the rocks have made their way from neighbouring Potosí? The seriousness on a local’s face whilst bartering a price, is tense. Pick up some beautifully hand-crafted textiles in the brightest of colours to take home. 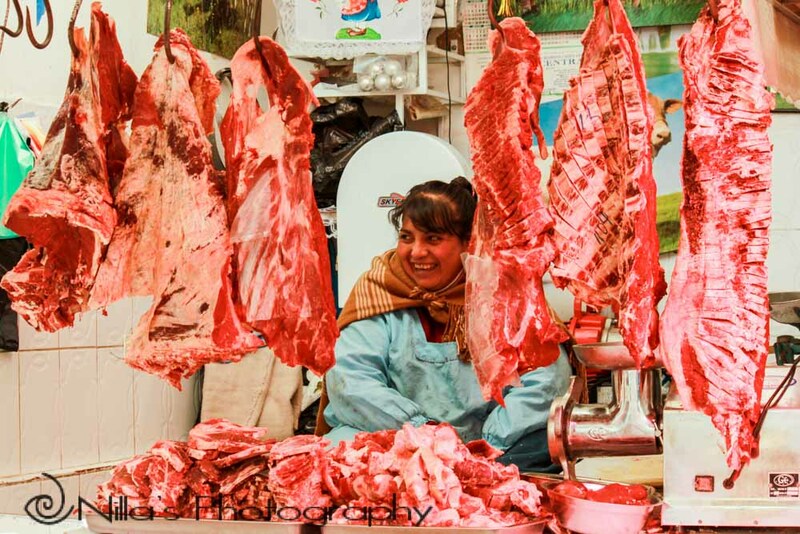 ‘Market of the people from the countryside’ named so, as most of the products come from surrounding areas outside of Sucre. Apart from stalls, merchandise is also sold out of suitcases and backpacks. 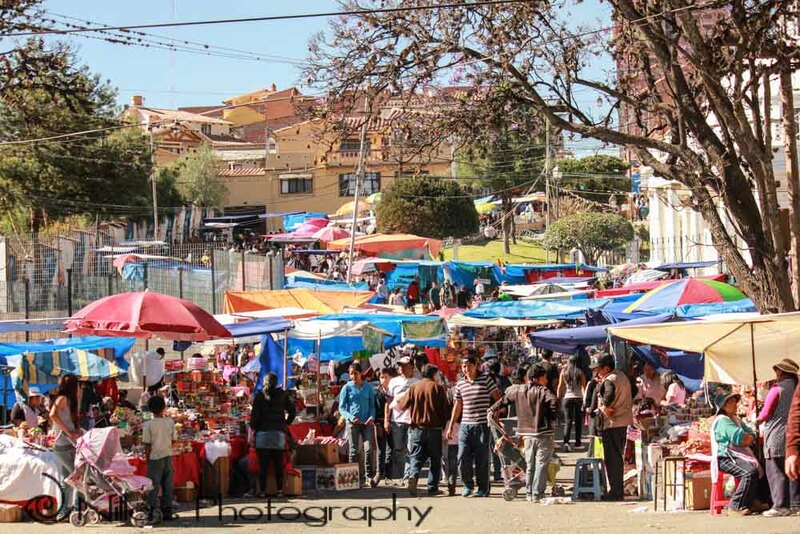 Started over 26 years’ ago and the largest in Sucre, this market is not far from the city centre and stretches around 10 blocks. Although at first, you think that there is no particular order in this open-air market, you soon realise that similar items are grouped together in stalls. Take a stroll a few blocks from the main plaza and you soon bump into this food market, which is where locals do their shopping for fresh produce, herbs, and spices. Wonderful fresh juice made from exotic fruit is also available downstairs, for a minimal cost. Whether it’s breakfast, lunch, or dinner, head upstairs for a delicious meal. With what seems as stalls randomly thrown together in no particular order, down tight alleyways and roofed with plastic-covered corrugated iron, this market is your go-to for fashionable clothing. Although, understand that most items are made in China. 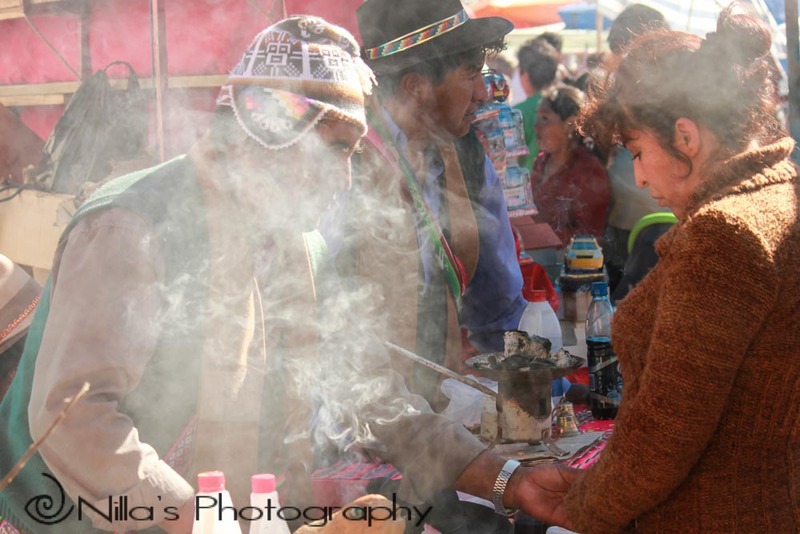 You can still buy some locally made traditional clothing such as alpaca sweaters and the obligatory Bolivian winter hat (not Bowler). The city is popular with travellers and ex-pats, so offers an abundance of excellent accommodation. Only three blocks from the main square is the friendly family-run La Dolce Vita and a lovely place to stay. 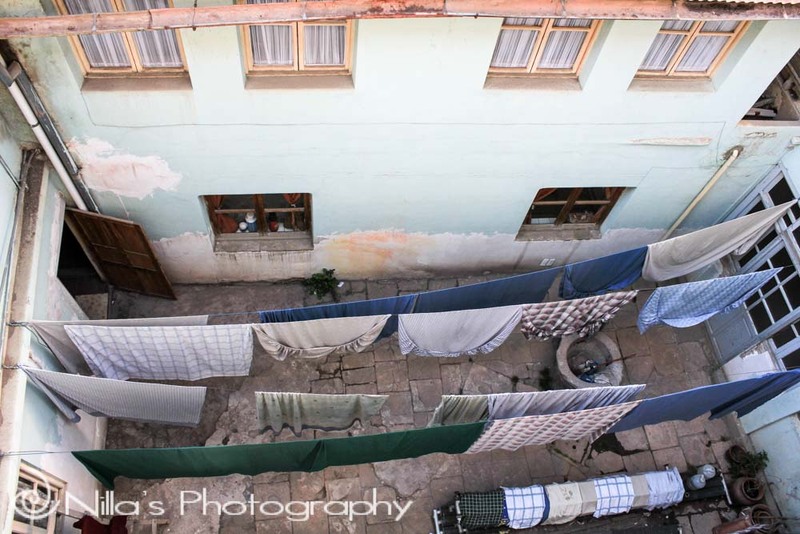 This hostel provides very comfortable rooms with a private bathroom. You’ll also find a great little communal kitchen where other travellers gather, exchanging stories and travel tips whilst cooking. The rooftop area is a good place to relax, whilst enjoying your home-cooked meal. Apart from the many good restaurants, cafés, and excellent food in the markets, Sucre is also renown for chocolate. If you’re a chocoholic like me, then you’ll definitely enjoy this city for yet another reason than its architecture. Check out the famous Chocolates Para Ti, which also has another eight stores around the country. 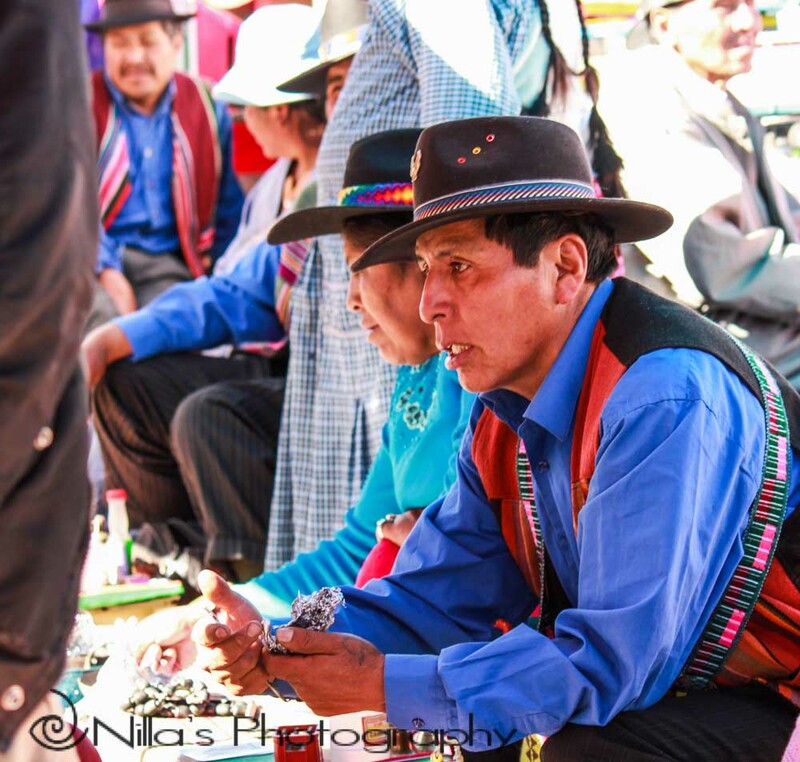 Thought I would enlighten you with some insight on what to expect, when you travel in Bolivia. Buses are hit and miss, and I don’t mean that in an accident-prone sense either, but in every other sense. whether the bus can make the journey. And so, it becomes a guessing game, just as if you’re hopping on a magical mystery tour. This is fun when it’s only for 2 or 3 hours. Not fun, when it’s an overnight journey and you just want to arrive. Also, you can be forgiven for suffering from BSA (Bag Separation Anxiety) – a term we coined in Argentina. Buses don’t seem to have any safe luggage holds as in other South American countries. Instead, they’re thrown up onto the roof of the bus and then covered with a tarpaulin that’s tied down. I’m not sure whether any bags have ever come loose and left behind on a lonely dirt track somewhere. Or, am I sure of how the luggage manages to stay on during a journey, whilst the bus swerves around corners, dives into ditches, or rattles and shakes on river beds. The roads in Bolivia are something to behold, but I hear that roads are only going to get worse, the further we go…joy! It’s not uncommon to have a little road base for 15 or so kilometres, before the road turns into ditches, gravel, dirt, and mud for another 20 or so kilometres, then continuing onto road base once more. The old bones and teeth take a hammering on these roads. If you suffer from any sort of joint pain, then taking pain killers may help. As transport prices are so very cheap here, you can’t whine too much. And, seeing locals catching the same buses, puts everything into perspective – no favouritism here, which I appreciate. 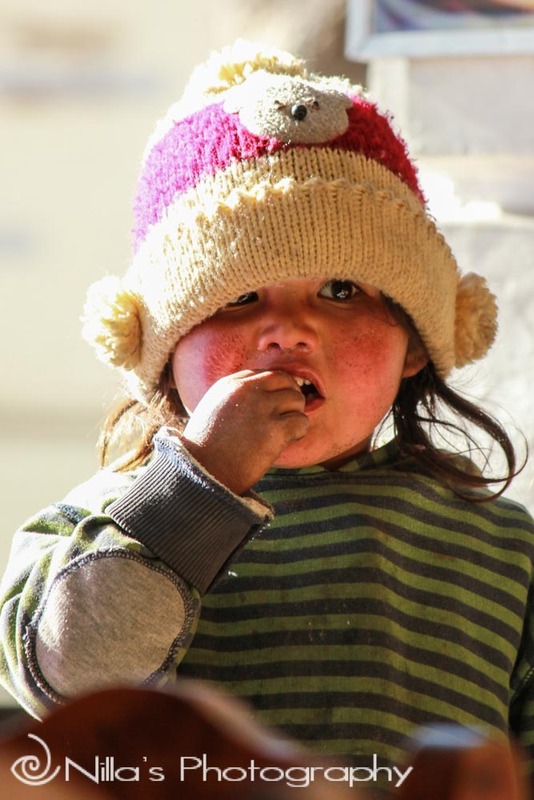 You can be forgiven for falling in love with Bolivia – it really is that simple. The country is spectacular, the people are warm, hospitable, fun, and a tad crazy. The cost of living is very low. Really, this country has everything a traveller needs and then some. If you can survive its dishevelled roads, travelling on dried rocky river beds with mad bus drivers, then you’re on your way to a wonderful experience. And these are only my thoughts on Bolivia so far, after travelling here for just on three weeks. Deciding to give the old bones time to recuperate with a break from buses and off-road riverbeds, booked a flight to Santa Cruz de La Sierra. Hopefully, a Bolivian plane is more comfortable? As we make things up along the way and have no real scheduled destinations, the roughish plan is to keeping heading north towards Trinidad, then take a bus to Rurrenabaque to organise a couple of trips. Hoping to take a trip to gorgeous Madidi National Park to spot some monkeys, and also a trip to the Pampas region in search of the infamous Anaconda. The bus trip from Trinidad to Rurrenabaque is renown to be extremely rough – it can’t be as bad as what we’ve already experienced in Bolivia, can it? I found a quick 3-minute video on Sucre Turistica Ciudad from 2016 by Sergio Trujillo, which shows you the beauty of Sucre – enjoy. I really love your people photos! Thank you – candid photography is my favourite medium. It was really nice to read your post. And All the images are wonderful. Ha, ha, indeed there are parallels. Thank you for sharing your travels! I didn’t know much of anything about Bolivia before. Not sure when I can participate. Don’t worry you will do it when you can, but it is mainly a sign of appreciations, because I like your blog a lot. It would be tempting to do some serious shopping in this wonderful market. Indeed, but you know what it’s like when you carry everything on your back…even an extra 100 grams count! I love your portrait of the woman in the gold shawl and hat.